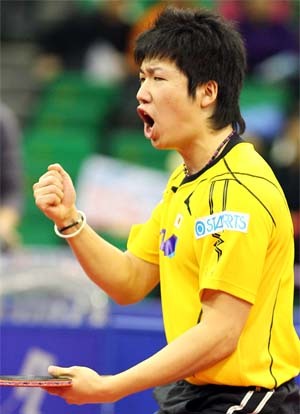 The 2010 ITTF Pro Tour Grand Finals took place in Seoul, South Korea from 16-19 December 2010 and you'll find all the results below. 13 international tournaments made up the 2010 Pro Tour which culminated with the Grand Finals in December. This was the 15th year of the Pro Tour following the International Table Tennis Federation (ITTF) initiating it in 1996, and it continued to attract the best players in the world. You can read all about how the ITTF Pro Tour started, here. The 2010 ITTF Pro-Tour consisted of 13 international tournaments leading up to the Grand Finals held in Seoul, South Korea. Although the ITTF Pro-Tour consists of men's singles, women's singles, men's doubles and women's doubles, I'll be concentrating on the main event ... the men's singles. 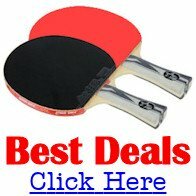 So what were the tournaments which made up the ITTF Pro Tour in 2010? 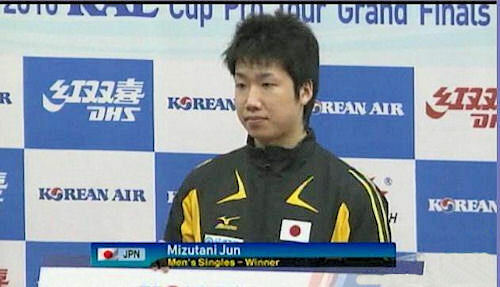 And who won the Men's Singles? The prize money varied from tournament to tournament, but the overall purse for 2010 was $2,441,800. The top event, the China Open, offered a total purse of $330,000 ... with the men's and women's singles winners receiving $33,000 each. The Egypt Open and the Morocco Open offered the least amount of prize money, both with a $20,000 total purse. The men's and women's singles winners received $2,800 each. The Pro Tour Grand Finals offered a total prize fund of $365,000 ... with the men's and women's singles winners collecting $40,000 each and the men's and women's doubles winners collecting $20,000. So who qualified for the prestigious end of season grand finals? However, although some players had accumulated sufficient Grand Prix points, they didn't meet the additional qualifying criteria of competing in at least six tournaments or playing on at least three continents. So unfortunately they weren't eligible to take part in the prestigious end of season grand finals. You can read more about the ITTF Pro-Tour here.